I would highly recommend this course and Mrs. Walker! Her assignments were interesting and varied, she always answered quickly and graciously, and grading was prompt and helpful. Her feedback on my writing was a perfect mix of encouragement, corrections, and suggestions. Our weeks begin and end on Mondays. Every Monday (with very few exceptions) we start off with a live "Group Chat" via Skype at 1:00pm EST. This optional interactive discussion hour focuses on questions/comments from the previous week's homework, along with an introduction to the coming week's assignments. A weekly email is then sent out with information and assignments for the week (the assignments are also posted on the class website). A typical week will include textbook reading and workbook exercises for Mondays, Wednesdays and Fridays. Computer-based aural/dictation skills will also be assigned through the use of the required MacGamut software. This software program focuses on aural, written and keyboard scales, intervals, and chords, as well as rhythmic, melodic and harmonic dictation. The weekly assignment will then be rounded out with sight-singing pages and an occasional listening requirement. At the end of the "week," everyone submits their assignments, via email, by Monday at midnight, EST. They are all submitted as scanned in .pdf files, and everyone receives a "confirmation message" from me letting each student know that his/her work was received. Within 3-4 days, a grade sheet, along with the graded homework, is emailed back to each student (as a side-note, I also include a designated parent in every email that I send to the student, in order to keep the parents informed as to how their student is progressing). 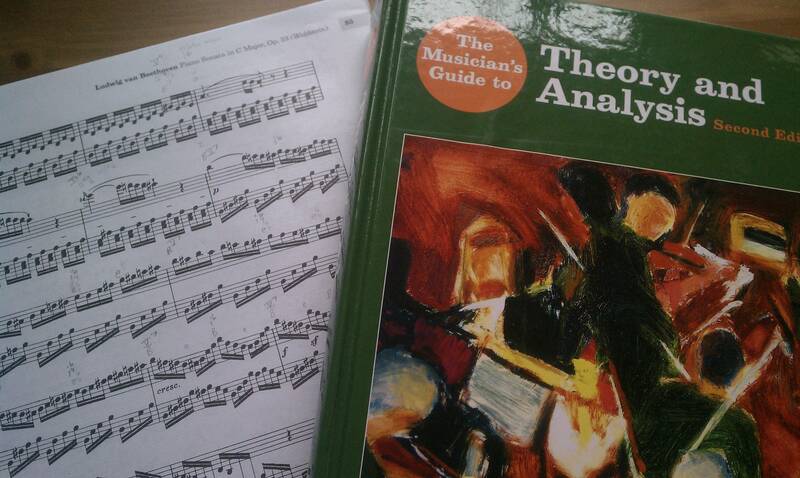 I hope that this little "snippet" helps you to get an understanding of what it's like to be an AP Music Theory student, and that this aids you in making a decision about whether or not to undertake a fascinating study of the world of sound - the theory of music!